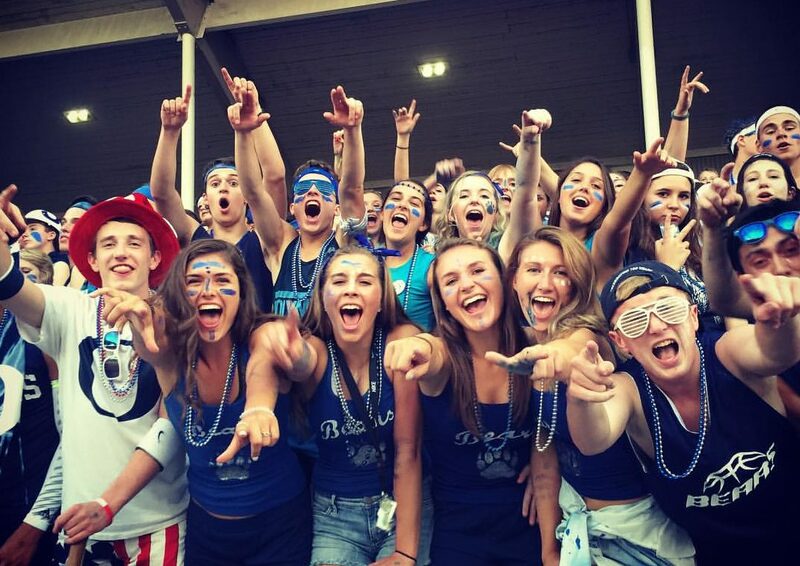 Olympia High School football fans cheer on their team during a recent game. Photo credit: Darcy Kauffman. It’s the end of practice. Conditioning, the portion of the agenda everyone dreads, is in full swing. The sideline-to-sideline, out-of-a-stance 50-yard sprints are starting to take their toll on the Olympia High School football team. Many are drenched in sweat hunched over trying to catch their breath. This is the polar opposite of a touchdown. There’s no celebration. No fanfare. No marching band on the ready to strike up the fight song. Among the weary masses is defensive back Colton Haisch, who is as tired as everyone else on the field. Brett Thompson, James Gunther, Jack Bell, Colton Haisch and Christian Reed have been tackling each other since elementary school. For a brief moment, in between the deep gasps for air, the senior finds himself happily taking in his surroundings; and despite the exhaustion that has overcome him and his teammates, he realizes how absolutely great of an experience this truly is. The circle of friends Haisch is referring to consists of fellow seniors Christian Reed, Brett Thompson, Jack Bell and James Gunther. Rounding out the ensemble, despite his junior status, is Scott Gunther, James’ younger brother, who is very much a part of the troupe – a half dozen individuals whose friendships began more than a decade ago in a Boston Harbor neighborhood. 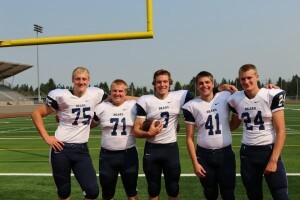 Haisch and Reed are defensive backs for the Bears, while Thompson and James Gunther are linemen – protecting quarterback Bell and paving the way for running back Scott Gunther. 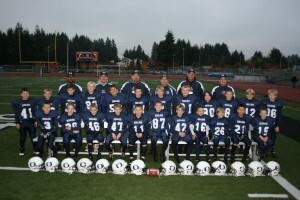 Pictured here is the 2008 Olympia Bears football team which includes Brett Thompson, James Gunther, Jack Bell, Colton Haisch and Christian Reed. However, long before they were helping the Bears to an undefeated football season – Olympia is a perfect 6-0 so far in 2015 – all lived within walking distance of each other in Boston Harbor. Today, they call Ingersoll Stadium their home field, but back during their elementary school years the Gunthers’ backyard served as their gridiron. Some would start playing organized youth football earlier than others, but eventually, by the time fifth grade rolled around, they all were on the same team. They have been a part of two youth football championships – the first coming in 2006 and the second in 2011 – and are now looking to close things out with one in high school. 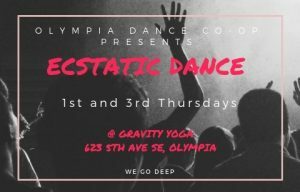 At the midpoint of this season it’s hard to make a case that they won’t get one this year as you would be hard-pressed to find a program that has looked as sharp as Olympia. The Bears opened the season against Ferris in the Emerald City Kickoff Classic at Husky Stadium in Seattle. 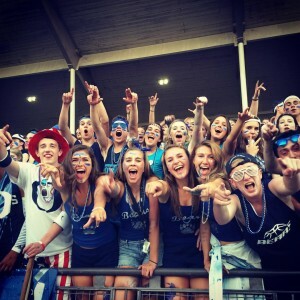 What was expected to be a close affair between two respected squads, turned into an Olympia rout rather quickly with the Bears jumping out to a large first-half lead before shutting out the Saxons, 42-0. They followed up that game by roughing up rival Capital, 41-7, in the annual Spaghetti Bowl, then thumped Narrows League 4A foes South Kitsap (48-7) and Timberline (49-25). What may be their best performance came on October 2 when they bested a highly-regarded Issaquah squad, 32-14, in a non-league matchup. And while lopsided wins are making those on the outside take notice, for the Boston Harbor boys it hasn’t been much of a surprise. The Bears haven’t played for a state football title since 1984 – the year they claimed the 3A crown with a 28-14 victory over West Valley of Spokane – and it’s been a dozen years since the team last played in the Tacoma Dome. Olympia lost in the 4A state semifinals in 2003 to Ballard (32-27). But substituting the Gunthers’ backyard for the City of Destiny to close out there football playing experiences together would certainly be a fitting ending.